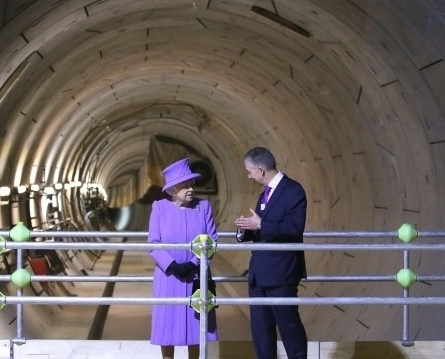 The Queen made a surprise visit on Tuesday to Bond Street tube station in London to be told that Crossrail is going to be named after her: the Elizabeth line. One shouldn’t comment on how women are dressed, we should be listening to what they say, but an exception must surely be made here. Her Majesty’s colour-co-ordination was spot on. 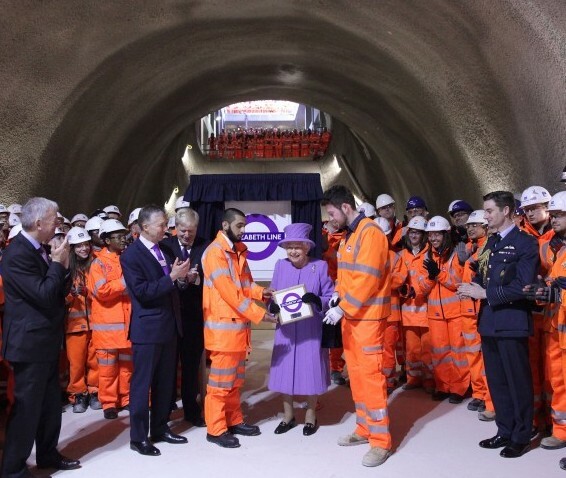 Crossrail purple, sorry Elizabeth line purple, has been deliberately chosen so as to match the Queen’s outfit (though I think the Queen’s attire is closer to lilac). The colour purple has been associated with power and wealth going back to the Roman emperors, it’s status stemming from the rarity and cost of the dye originally used to produce it. Queen Elizabeth I forbad anyone except close members of the royal family to wear it. Did Transport for London have to ask the Queen’s permission I wonder? Crossrail by the way is a £14.8bn east-west underground line, the central London section of which will open in December 2018, with a fleet of new 200-metre-long trains. Amazingly the project is so far on time and on budget. The Orange Army is out in force, many of them with seats in the circle. The Queen looks genuinely delighted as one would. But why are the top brass not wearing their hi-vis jackets? Lots of women in the front row, but they didn’t get to give the Queen her purple roundel plaque. But Elizabeth, that’s four syllables. Though that’s the same as the Victoria line and the Piccadilly line, it doesn’t exactly trip off the tongue, it’s a bit clunky. For instance, you don’t say ‘I’ll take the underground’, you say ‘I’ll take the tube’. Mmmm, I can’t think what Londoners might call the new line? Crossrail has been called Crossrail for the past five years so it’s going to be some time before people start calling it something else. And what happens when Crossrail 2 is built. That’s something to keep you awake at night; the ‘Charles line’ or the ‘William line’. Queen (Her Majesty). The Victoria line goes right under my house [Buckingham Palace]. But there’s a kink in it to avoid our bomb shelters. I opened that line you know, in 1968.